Организаторите на австрийския фестивал NovaRock обявиха бандите за третата по големина сцена на фестивала: Red Bull Music Stage Line Up: Puddle of Mudd, The Amity Affliction, While She Sleeps, Ferris MC, ALL FACES DOWN, Haze, Welshly Arms, Crystal Lake, Palaye Royale, As It Is, nothing,nowhere., Inglorious, FEVER 333, Like A Storm, Infected Rain, ANCHORAGE, Coperniquo, Valeras и NOVA TWINS. Те се присъединяват към големите хедлайнери Slipknot, The Cure и Die Ärzte, както и по-рано обявените Die Toten Hosen / Slayer / The Smashing Pumpkins / Within Temptation / Anthrax / Lamb of God / Behemoth / Sum 41 / Three Days Grace / Slash feat. Myles Kennedy & The Conspirators / BonezMC187ers & RAF Camora / Dropkick Murphys / Sabaton / Rob Zombie / Papa Roach / In Flames / Ska-p / Amon Amarth / RIN / Godsmack / In Extremo / Feine Sahne Fischfilet / Wolfmother / Ministry / Reel Big Fish / Pendulum (DJ Set) / Testament / New Model Army / Me First And The Gimme Gimmes / Powerwolf / Trivium / PussyRiot / IDLES / Cari Cari / Bad Wolves / TesseracT / SEEK & DESTROY / To the Rats and Wolves / Antilopen Gang / Millencolin / Mono & Nikitaman / Children Of Bodom / Luciano / Amaranthe / SCHMUTZKI / Frog Leap Studios feat. Leo Moracchioli / Beartooth / Mother’s Cake / Starset / Our Last Night / J.B.O. / folkshilfe / Atreyu / I Prevail / Uncle Acid and the deadbeats / Badflower / Beyond the Black / Waving The Guns / Wendi’s Böhmische Blasmusik! 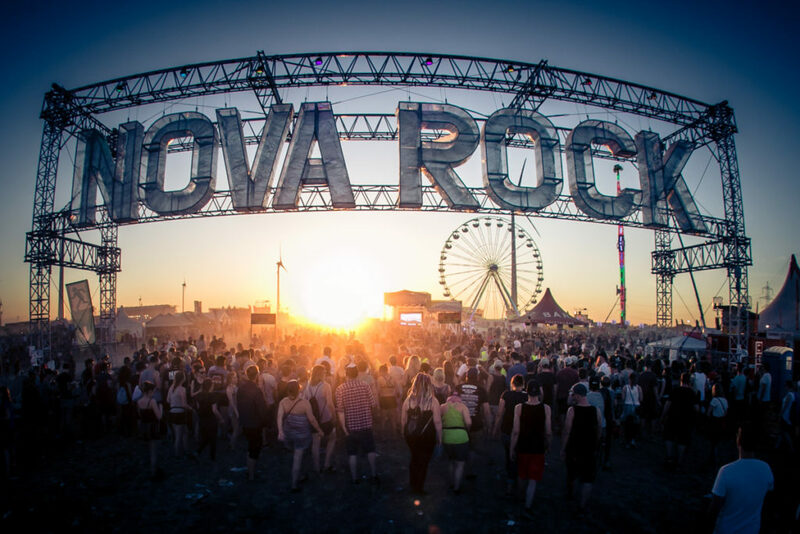 NOVA ROCK Festival 2019 ще се проведе от 13 до 16 юни в Никелсдорф, Австрия.